Skills and abilities: Trained by the secret organization C.H.A.N.G.E. 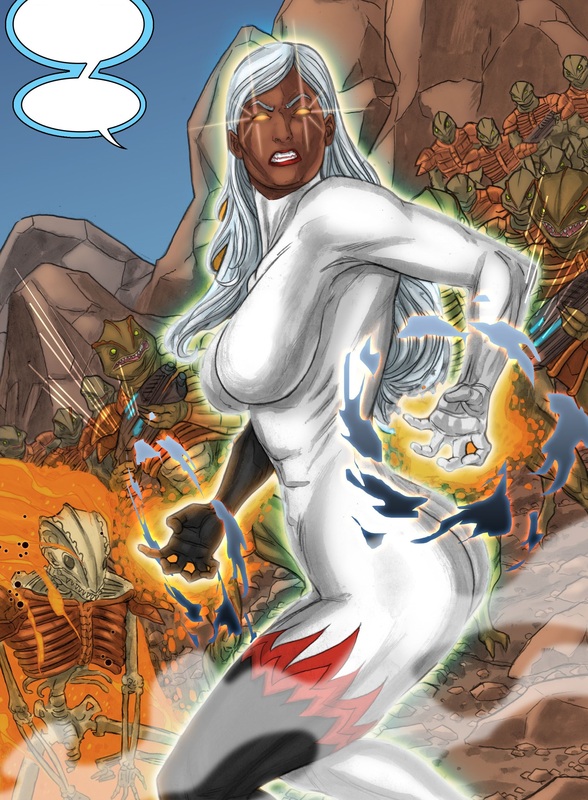 in the use of her powers and is a capable hand-to-hand combatant. Powers: Blackfire possesses the ability to ignite the air around her to produce intense flames of both positive and negative plasma. She is capable of flight, can project/manipulate flame to create various shapes & forms which she can move at her command, can absorb fire/plasma without any adverse side effects, detect heat signatures and can increase/decrease any flame’s intensity to as yet unknown limits. Blackfire gained her abilities after being diagnosed with a rare blood disease and accepting an experimental gene-altering procedure that miraculously saved her life. She was taken in and trained in the use of her powers by the shadowy organization C.H.A.N.G.E.